Verne World sounds like the plot to an 80’s movie caper. Your characters are trapped in a theme park, and the robots have gone mad. 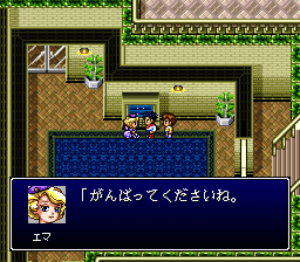 It’s published by Banpresto and developed by Dual in 1995. 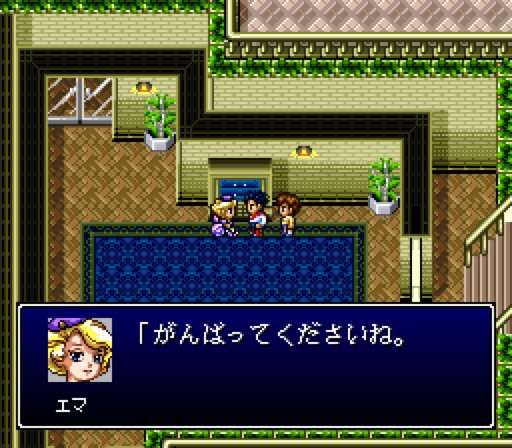 It’s a very pretty game, and while it doesn’t use remarkable graphical effects, the sprite work is vibrant and richly colored. 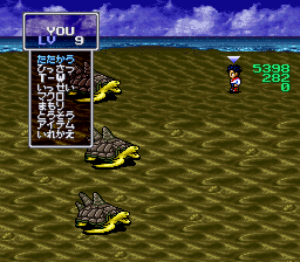 While using a ship, for example, you can have bobbing from the waves emulated on the screen. It’s a simple effect, but it is dramatic. 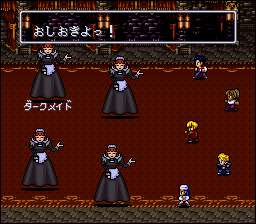 The enemy designs remind me of Final Fantasy VI. I think that’s mostly due to the size and the screen layout. The stats and battle system of the game feels a little broken. The game begins with ridiculous amounts of HP but a high miss ratio. As you level, your competency increases dramatically. You can die in the first area due to having bad luck with leveling and no access to easy healing. There’s a vague recharge system via putting points stored from battle into charging things, but it feels a little awkward. Still, if you grind a little, you can have an amazing feeling of power. 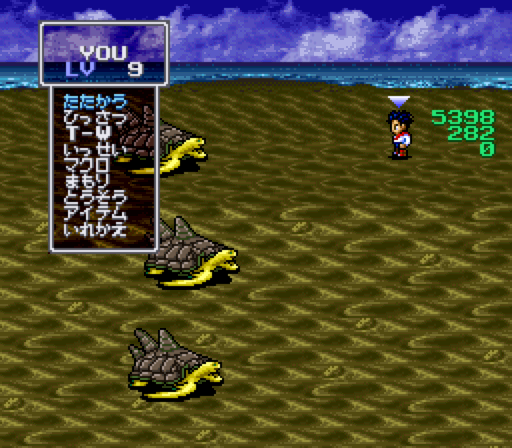 The battle system is a typical turn based type, with the option of using various vehicles. Some enemy designs are goofy. There’s nine main characters. As for their personalities, it’s hard to say, but it is nice to see a woman in a wheelchair and a kid from India among them. Said woman is pictured below. It’s a colorful game, hampered by some mildly clunky controls and odd difficulty curves. 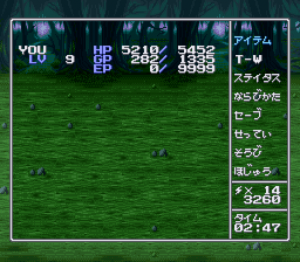 The gigantic HP totals gives it a very different feel compared to a more typical game. She's Russian, as I remember, and technically skilled.